What is a UV Germicidal Light? UV germicidal lights are a type of air purifier with a very specialized purpose. While air filters and electronic air cleaners are used to remove airborne pollutants from the air that you breathe, UV air purifiers are not intended for this service. Instead, they emit small, safe amounts of ultraviolet radiation, which in turn kills biological pollutants – such as viruses, mold, and bacteria – as they pass through. This helps to improve the indoor air quality in your home while also protecting your health. The UV radiation emitted is perfectly safe to humans, including babies, as well as any pets in the house. Its effect on these microorganisms, however, is simply devastating. Give us a call if you have any questions about how a UV germicidal light can better the quality of the air in your home. If you decide that UV germicidal lights are the right option for your home, it is vital that you schedule your UV germicidal light installation in South Florida with a skilled, trained professional. This is the only way in which you can possibly hope the lamps to operate as effectively as possible. Plus, these lights must be installed in your air ducts strategically, typically near the air handler. No one other than a qualified technician should ever be allowed to attempt to access your air ducts. Because they feature no moving parts, UV air purifiers require very little maintenance. It is important that they are inspected from time to time, though, to ensure that the bulb is still burning and that they are working effectively. This can be accomplished during routine HVAC maintenance visits from our technicians. If any trouble is spotted, we are more than qualified to provide you with any professional UV germicidal light repair services that you may need. Let the indoor air quality specialists on our team help you enjoy the outstanding indoor air quality that you deserve in your home. No problem is too severe for us to resolve. Schedule an appointment today throughout South Florida and the surrounding area. If you need a UV air purifier in South Florida, you need to call AZ Air Conditioning and Heating today. UV light has had a bad rap in many circles and this may be right to some extent due to its effects on the skin. A lot of UV light from the sun that contains poisonous UVB and UVA lights have had links to carcinomas and other cancerous growths. Conversely, getting UVB lights is very crucial as it converts vitamin D3 in the skin to be usable, which is crucial for the immune system, metabolic functions, and other things. This light is also beneficial to you when it comes in the form of Air Sterilization UV lights. People have used UV lights for many years in many medical applications to disinfect and sterilize, and it does it so well within a few exposure seconds. Also, researchers have found that Air Sterilization UV lights have done so much when it comes to viruses, mold, and bacteria floating in the air. With enough UV light, there is a ninety-nine percent consistency for killing them when they pass near the bulbs. When you have you UV bulbs placed thirty-six inches apart, you will get approximately forty-eight thousand units of UV lights, which are sufficient for killing more than ninety-five percent of all algae, viruses, mold, and bacteria. And while Air Sterilization UV lights are not air filters, they kill organisms which cause health issues and majority of them come from air and produce OH-ions that enhance the effectiveness of HVAC filters and air purifiers. UV lights utilized in ducts of air conditioning have been very effective to the extent that majority of respiratory or allergy sufferers say that their symptoms are eliminated or reduced within forty eight hours of installation. For any individual that has a compromised immune system, installing UV lights in your air conditioner duct will make a difference in health, because this stops repeated infections from germs, viruses, and airborne bacteria. 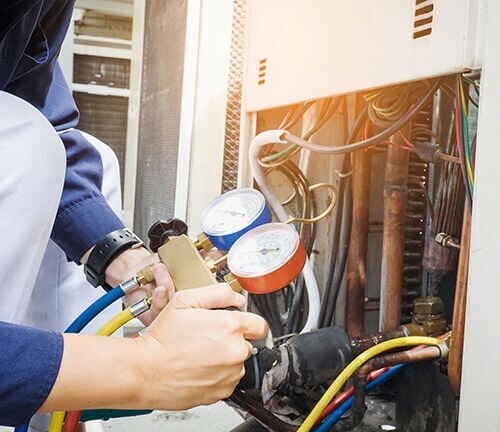 If you desire the best benefits when it comes to air quality, it is best when you get it from Air Sterilization UV lights installed in the HVAC ducts because it is the bulb’s strength and that all air in the home is sanitized, not just one room. Most of these bulbs use between ten and twenty watts and are helpful but they do not provide enough units of light for killing germs, mold, and species of bacteria. Cleaners of UV lights are not expensive for disinfecting your indoors, with high-quality bulbs going for about five hundred dollars, which is way less than many top-rated purifiers of air. You need to ensure that regardless of the Air Sterilization UV light you choose, you need to install them at least thirty-six inches wide from the output of the air conditioner. Installation of the air purifier system on the side of the input allows for pollutants being released from the coil to undergo sterilization, plus the air getting into the unit. Are Air Sterilization UV lights right for the family? The promise of air that is free from germs will save you from undesired illness. Is this device a good investment for your body? Before buying, you need to take time to see if all your concerns are addressed by the UV light air purifier. UV light has proof of sterilization of microorganism like viruses, mold, and bacteria. This is only possible under conditions that have been controlled. Contaminated areas need to get exposed to direct UV light with the desired intensity. The light then irradiates the surface for a long duration to expose it. Can you get the same results when you use the air purifier? With the microorganisms speeding through at a right rate, you may wonder if the exposure is long enough to cause sterilization. It is obvious that additional sterilization will occur at lower speeds of the fan but this reduces air volume being treated. The idea is that you need clean air with sufficient UV light to get sterilization at a very high flow rate.